The University of Victoria’s one and only bar run by students for students. Our student-owned and operated campus pub is named in honour of Felicita Gomez – beloved SUB custodian and friend of UVic students since 1967. Gomez worked as a custodian in the building for 29 years from 1967 to 1996, during which time she got to know countless UVic students and was seen as a mother figure of sorts to many. She cut the ribbon at the opening ceremony of Felicita’s Campus Pub in the basement of the SUB on January 10, 1983. Felicita retired in 1996 – the same year that the pub moved to its current location. With so many buildings on campus named after donors and alumni, the pub’s name is a testament to the working people of UVic who contribute so much to the fabric of campus life.  At Felicita’s we strive to provide students with a tasty and affordable food menu, a diverse selection of local drink options and fast, friendly service. We have joined the movement to be STRAW FREE, we have COMPOSTABLE straws upon request only.